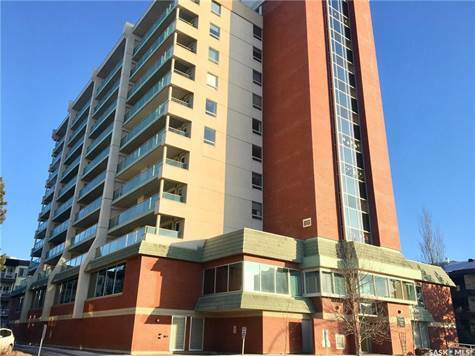 Style: Single-Level "High-Rise (4 floors or higher)"
Garage: "Garage: Underground Parking; Parking Space(s): 1"
Beautiful condo ready for quick possession in the Fremai Tower building in Nutana S.C. This 1090sqft unit is located on the fourth floor and boasts 2 large bedrooms, 2 baths, in-suite laundry and storage and a huge west facing balcony. All appliances as seen are included with this condo. This building also has an elevator, large amenities room, lounge, exercise room, guest suites and off street visitor parking. Located just steps from Market Mall allows for easy access to all amenities and services in any weather.